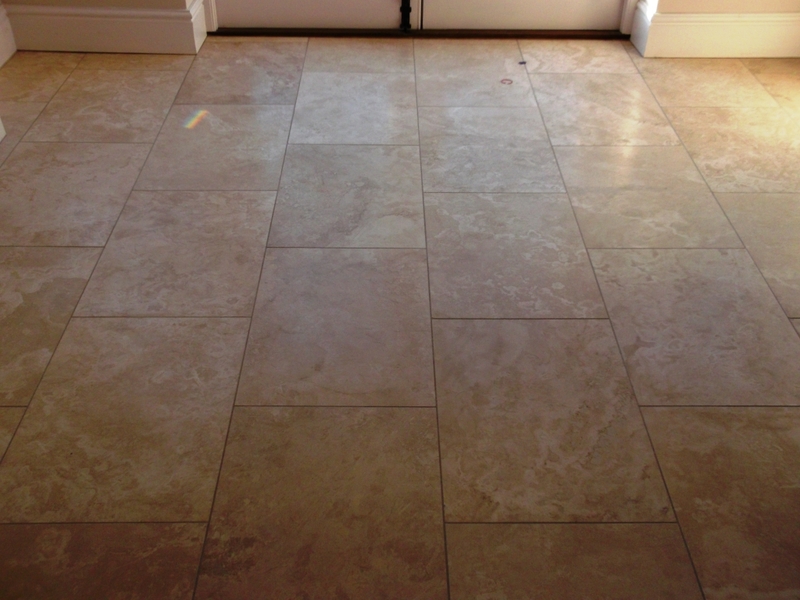 This travertine tiled floor was in a converted Chapel in the Suffolk village of Haughley. The floor had been laid about 4 years previous as part of the conversion. The owner has been applying sealer to the floor but was finding it difficult to keep clean and as you can see from the photographs it had become dull and lost its shine. 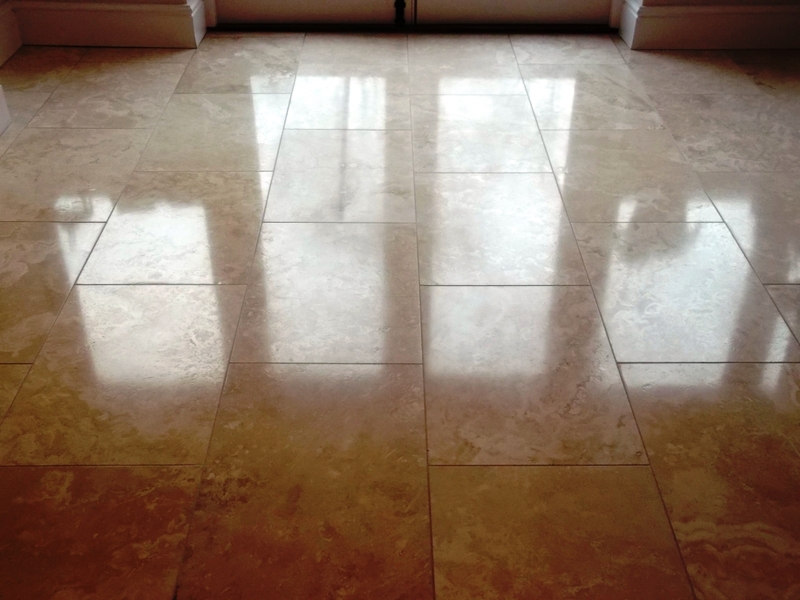 The Travertine floor tiles were cleaned and polished using a set of diamond encrusted Twister burnishing pads. 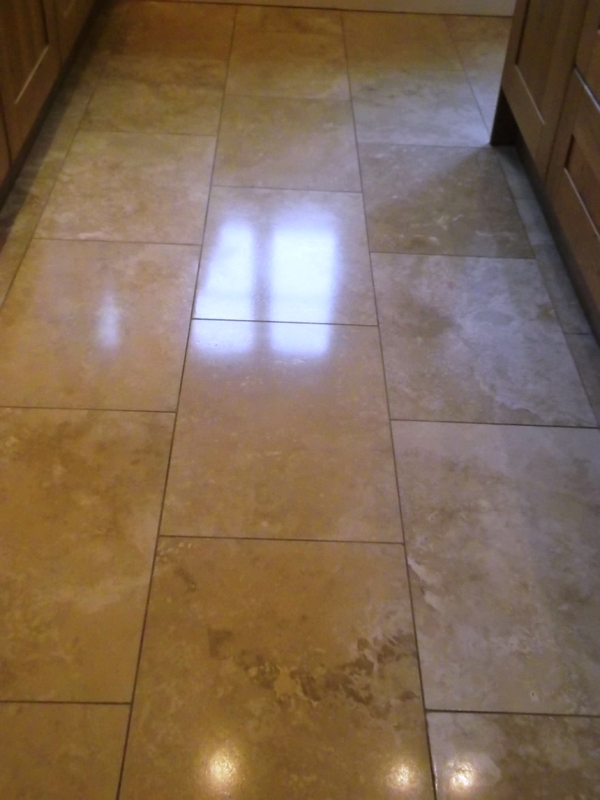 They really are the best solution for restoring hard floor surfaces such as Travertine, Limestone and Marble. We started with the red pad to remove the existing sealer followed by the white and yellow pads to clean and hone the stone. The wall and floor tiles were then rinsed with water to clean and neutralise the floor ready for sealing; this work had taken much of the day so we left the floor to dry overnight. 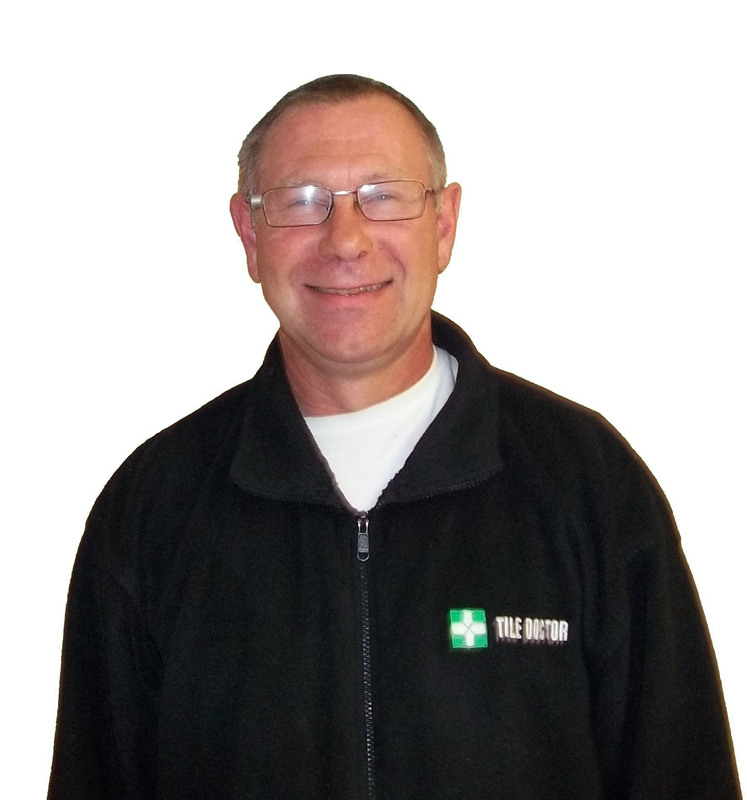 We came back the next day to complete the floor starting by adding a final polish using a Green burnishing pad. 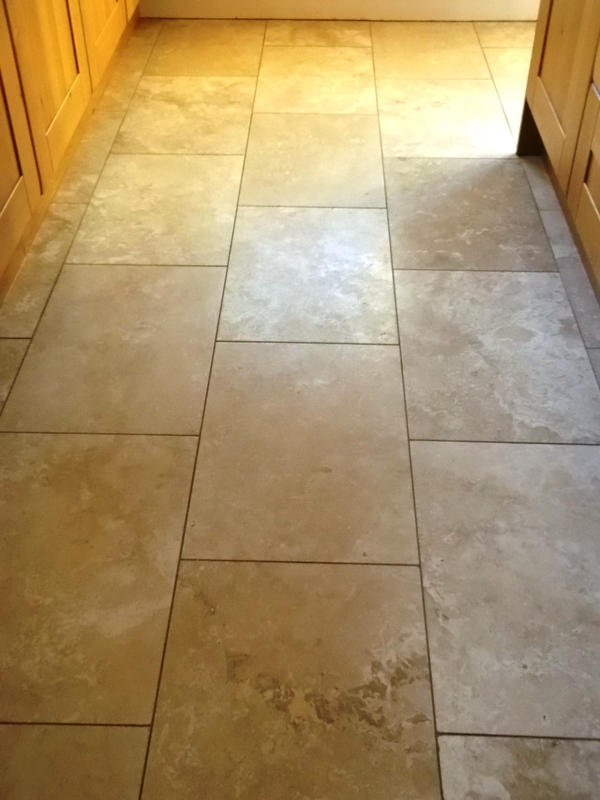 The last step was to seal using three coats of Tile Doctor Colour Grow which provides stain protection as well as enhancing the colour in natural stone surfaces; a five litre bottle of sealer was required to cover this 45m2 kitchen floor. I’m happy to report our efforts restored the shine on this floor and the owner now finds it much easier to maintain.